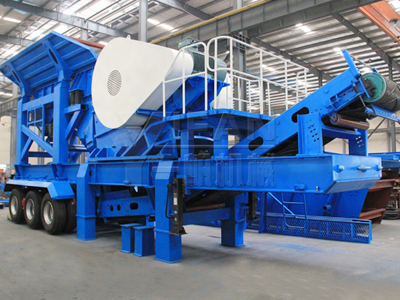 The reutilization of the construction waste recycling plant firstly need crushing and screening. Mechanical strength of the portable crusheris high,and the structure is reasonable. The domestic cement industry has gradually begun to realize the reductio and resources of construction waste. Now saving natural resources and protecting the ecological environment are the priority among the priorities.Stone crusher has high economic value, and is the "manufacturing star" in cement industry. Portable crusher can successfully break any material into the required granularity. With the high strength work of portable crusher, the bearing temperature will increase too high.Many users cannot understand the reasons. When the bearing temperature of the portable crusher is too high, maybe crusher belt is too tight. So the workers can adjust the belt tension appropriately. Secondly, checking whether the lubricating oil of the cavity is sufficient or not. If the oil is not，the first is to clean,and the second is to add the lubrication oil. Checking whether the oil hole is blocked by the dust or not. If the oil hole is blocked, the lubrication oil can't enter into the part of the machine, which results in the rise of the temperature. Last but not least, checking the tightness of between the bearing cap and bearing, too tight or too loose will affect the operation of the portable crusher.